Windshield and door glass replacement. Chip repair. Call Perry for on the spot mobile repair! 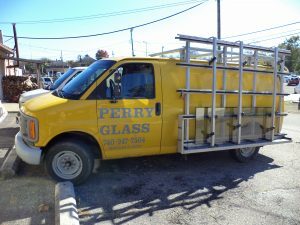 Welcome to Perry Glass with locations in Chillicothe and Waverly Ohio. See us for your auto, residential, commercial glass repair. We do mobile glass repair. In order to save the most out-of-pocket expense, it’s important to get any rock-chip repair done quickly. Over time, wind, weather, and road debris can collect and actually cause small rock-chips to expand into larger cracks which can require a windshield replacement – much more costly than a repair would have been.